This is a new, larger wall piece for me filled with new colors. I'm working with blacks, creams & greens. 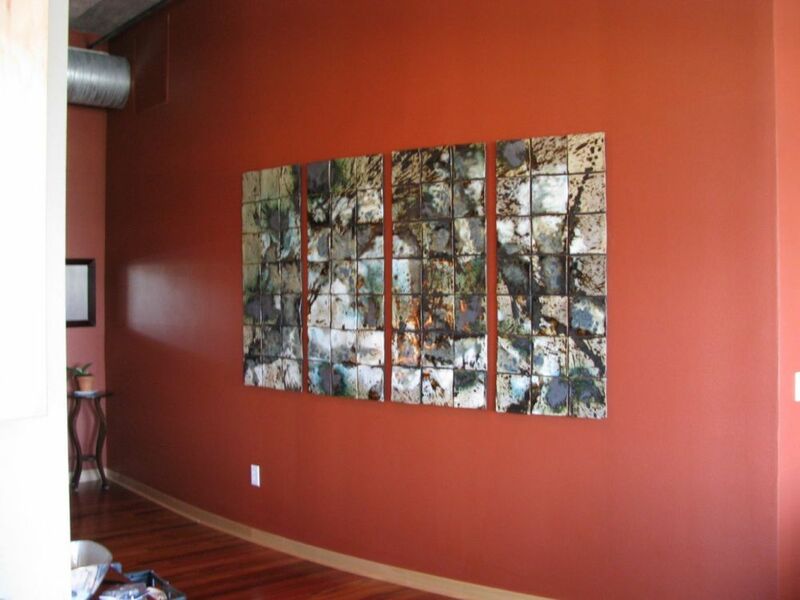 In this installation the wall piece was separated into 4 sections, creating a dynamic view on this cinnamon wall overlooking the Milwaukee River. Thank you Jennifer & Mike.